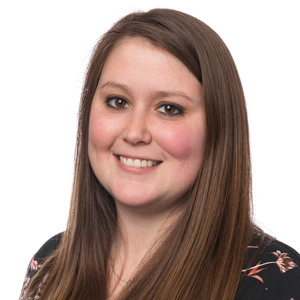 Emma Dowden began her career at Vision 3 as an intern until she completed a Master of Architecture at Roger Williams University in December of 2014 and joined the firm full-time in January of 2015. She has been a valuable member of the Education Team since she started, completing work for her alma mater right out of school as a team member for the Roger Williams Providence Campus Building at One Empire Street in Providence, RI. Emma was promoted to Job Captain in May of 2017, and has been a key member of the project team working on a new casino bar at Foxwoods Resort Casino. She is currently working towards completing the Architectural Registration Exams, and hopes to add a Rhode Island State Registration to her accomplishments of 2018. Emma is native to Red Hook, NY and currently lives with her boyfriend in North Providence. During school, Emma completed a semester studying abroad in Florence, Italy. She was able to take a trip back to visit her home away from home in May of 2017 and is already trying to plan another visit sometime soon. Many weekends are packed with traveling to visit family and friends, but when she’s not traveling she enjoys curling up on the couch with a good suspense novel, catching up on some TV shows, or exploring the restaurant scene in Providence.